On January 22-29, 2019, the National Museum of History of Moldova marked the week of commemoration of the victims of the Holocaust. In the agenda of events, which remembered all those who suffered from this tragedy and error of mankind, were scheduled two activities organized by the Department of Public Relations, Museum Education. The event with the title "The forgotten Holocaust from Greater Romania", which included a thematic lesson part of the exhibition "Evidences from the inferno of the Holocaust" and the presentation of the documentary film "Mengele's lab rats", was organized for a group of students from the Cooperative Commercial University of Moldova. The theme encouraged young people to learn the lessons of the Holocaust, to act against discrimination and defend democratic values. The second educational activity with the title "Holocaust. 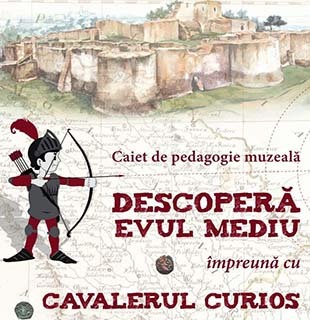 Camps of death" was organized with the participation of students from the Commercial College of Moldova. The thematic lesson "Second World War and bloody crimes of Nazism" and the screening of the documentary film "Victims of the Holocaust" involved all students in a discussion about anti-Semitism, racism and violence. Throughout the week, visitors had the opportunity to watch a series of documentary films about the victims and survivors of the Holocaust, screened in the Clio cinemateque of the museum.